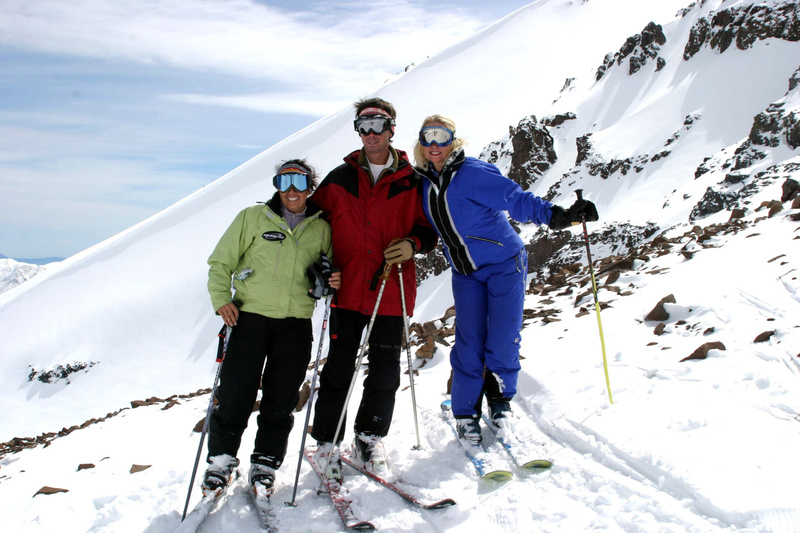 The only comprehensive ski shops and snowboard store are on the mountain of Farellones and on the three main mountain ski resorts. Find, compare, and rate local ski and snowboard stores, including the services offered, rental prices, and more. You don’t need to rent ski equipment in Santiago allowing any mishaps, boots that get hurt and the chance to loose part of your day while skiing. Values expressed in US$ per day. Equipment is available in Farellones and Colorado Ski resort as well with full snowboard rental. 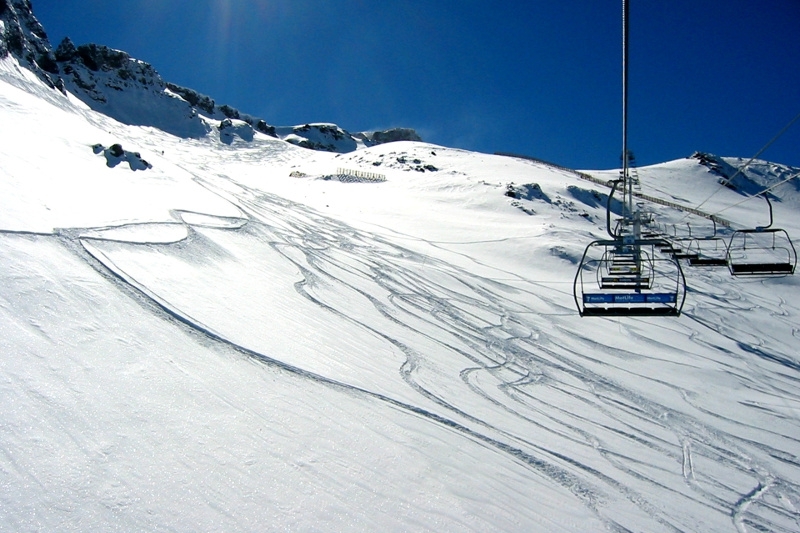 In winter, the landscape in the high mountains where skiing takes place is a mixture of large blankets of snow where snowboard rental places, ski equipment is required for all type of snow. The ski rental equipment changes every year due their new materials in the industry among snowboard rental with all kind of new colors. 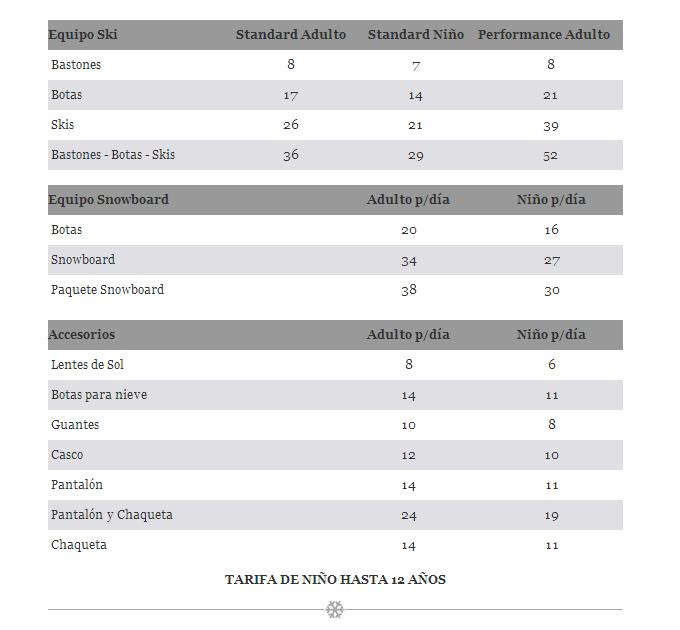 If you are a beginning skier or snowboard and do not have your own equipment, or if you prefer to travel to Farellones and not lug your skis or snowboard with you, snow ski rental shops are available in Farellones among all ski centers. CHILDREN ARE CONSIDERED FROM UNDER 12 YEARS OLD. Please contact us in case you will need to hire equipment.